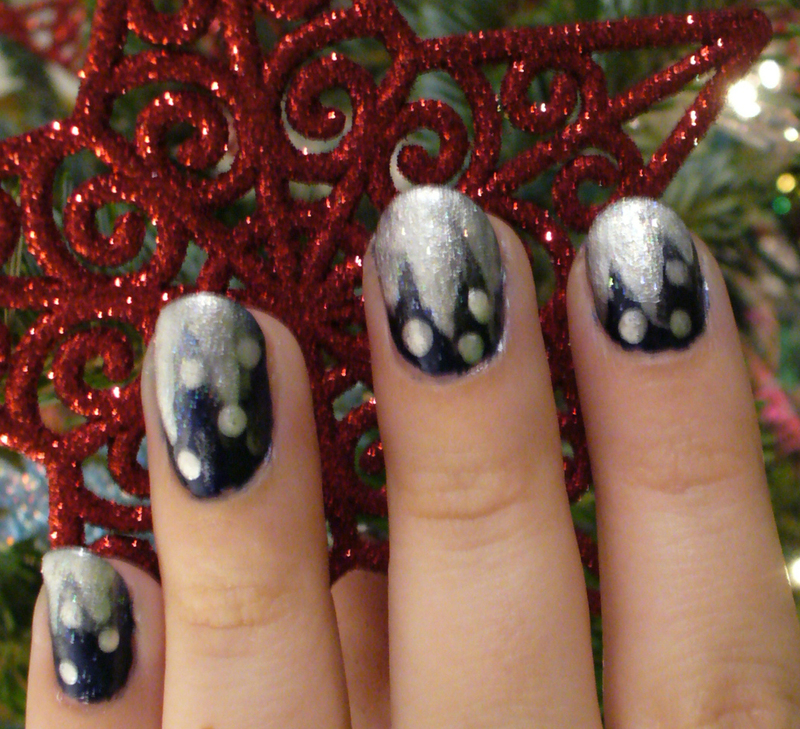 I have some beautiful post-Christmas – winter nail art for you today! No fancy tools required. I wanted a simple snowy icicle look. This design is perfect for the winter season. It doesn’t scream Christmas, but is still festive and very pretty! 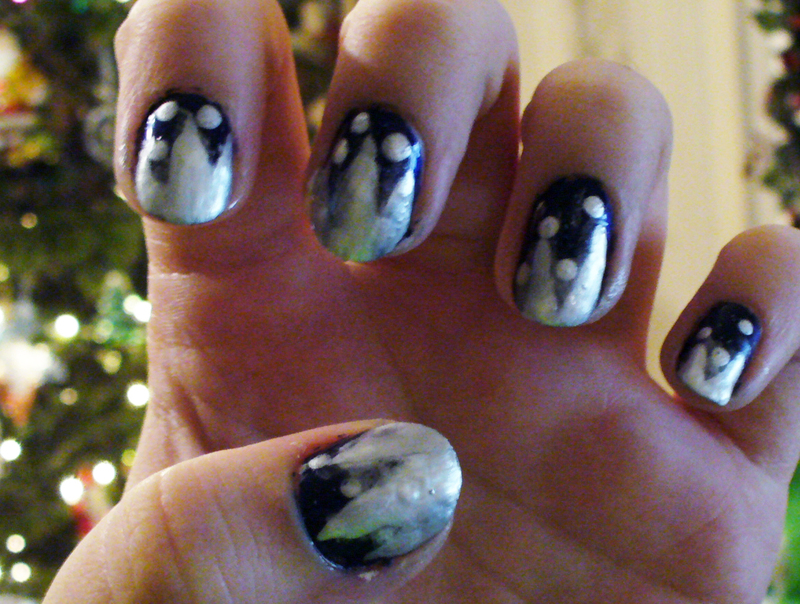 I think these would work better with longer nails, but since mine are mid length I think I was able to pull them off. Here are some simple steps to follow! 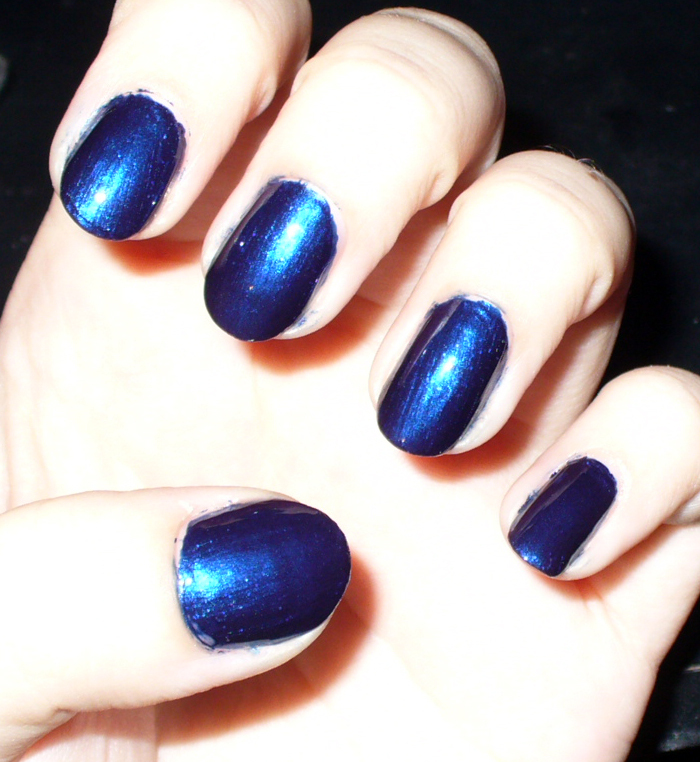 Paint your nails a nice dark blue. 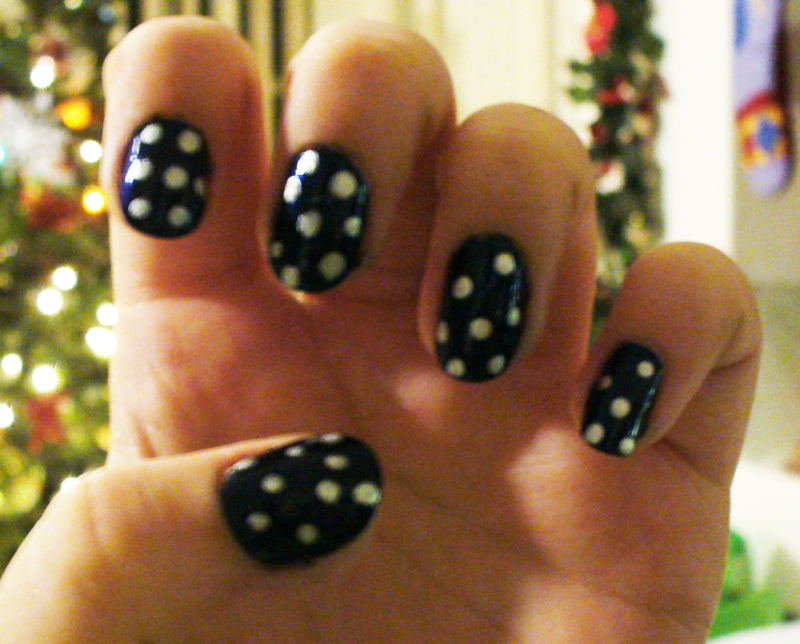 Use dotting tool to add snow to nails in white or a pearly white. If you don’t have a dotting tool, see my post on making a DIY dotting tool, ready now! Use makeup sponge wedge to layer desired icicles onto nails. 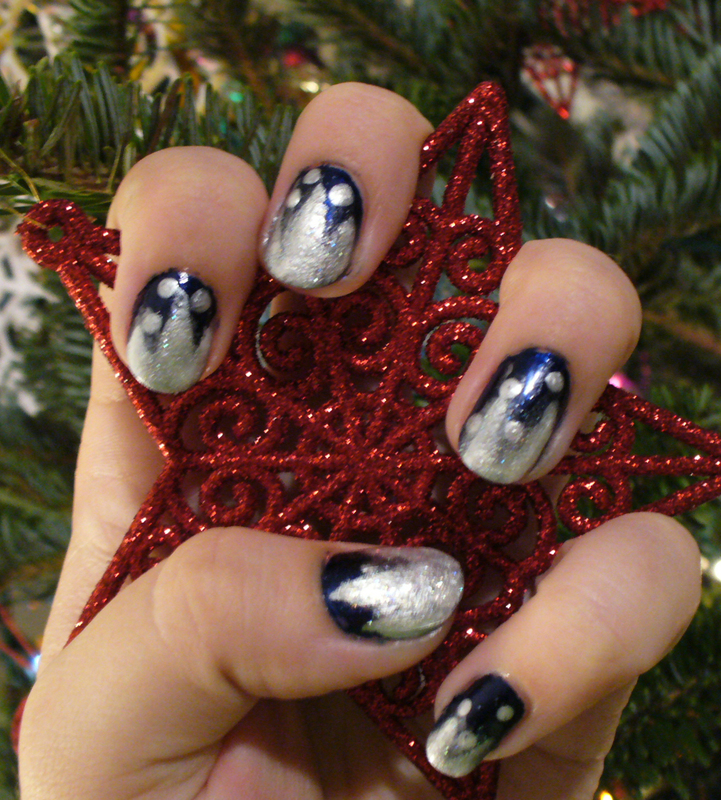 Add favorite sparkle polish to the icicle part of your nails, let dry, finish with a glossy top coat.